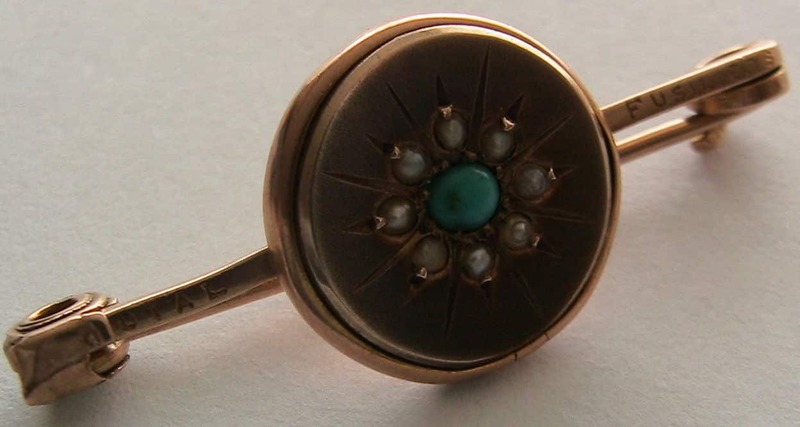 A GOOD HEAVY QUALITY ANTIQUE BROOCH WHICH IS MADE FROM 9CT GOLD (STAMPED) AND SET WITH A TURQUOISE SURROUNDED BY SEED PEARLS. 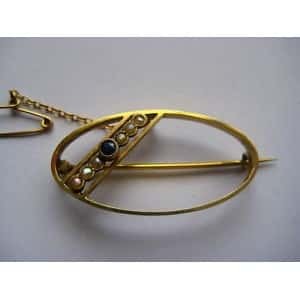 THE BAR IS INSCRIBED “ROYAL FUSILIERS”. 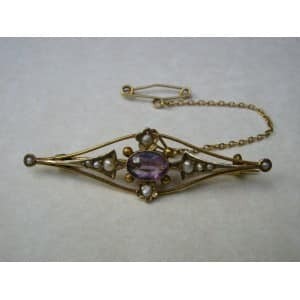 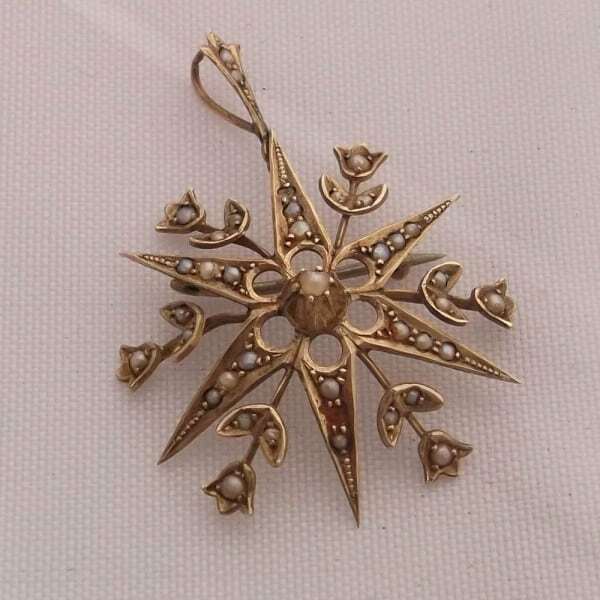 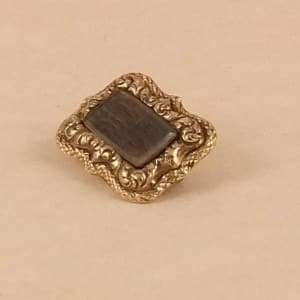 THE BROOCH IS IN GOOD VINTAGE CONDITION AND MEASURES 4CMS BY 1.7CMS.